A DxE investigation of one of the nation’s largest turkey farms found sick animals being trampled and eaten alive. Ask the Norbest CEO to stand by the company’s values by cutting ties with all animal abusing farms and shifting to plant-based meats! One of the largest turkey suppliers in the nation, Norbest touts its practices as “humane, with the health and comfort of the birds of paramount importance.” But DxE’s Open Rescue team found sickening cruelty. 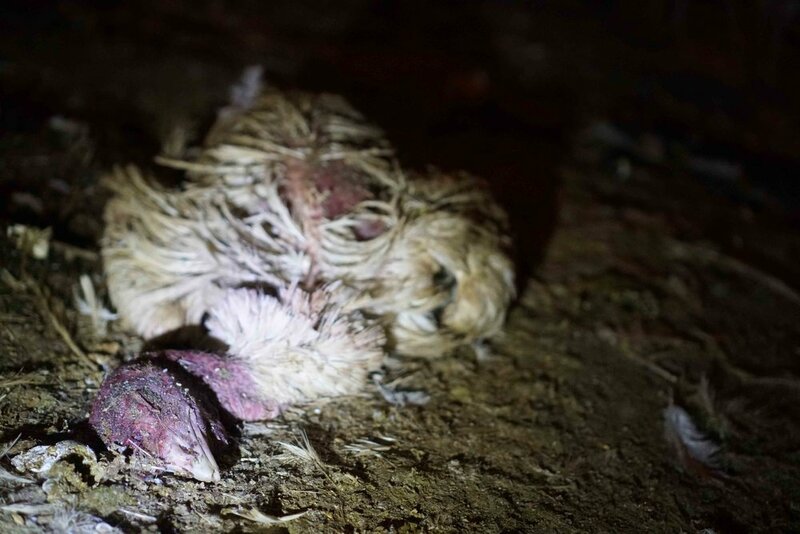 Live birds were being ripped to pieces in the crowded, filthy conditions. DxE found tumors and sores on many of the birds, as well as evidence of other serious diseases. Even at ‘humane’ farms, birds have their faces burned and their toes cut off -- all without painkillers. Millions of turkeys die every year on Thanksgiving. But Abby was the one in a million who would be saved. Abby was dragging herself across the farm and deathly ill. A terrible disease was spreading across the farm. Unable to lift her head or walk, Abby was not able to reach food or water. Like so many others, Abby was destined to die. DxE rushed Abby to receive emergency medical care and brought her to an animal sanctuary. Turkeys are incredibly social animals, as loving as a dog or cat. Turkeys like Abby will sit on your lap for hours on end, begging for a belly scratch. They recognize and form bonds with specific individuals. Among the most curious animals, turkeys will stare inquisitively at new objects or people. They often chirp to show their joy and excitement from these new experiences. In the wild, turkeys are agile creatures who can fly great distances. While domesticated turkeys have lost their ability to fly, they still love to roam! With your support, DxE has rescued dozens of animals like Abby from horrendous abuse.